(Top 2 Pictures) XLE 50/2 97,127gal. 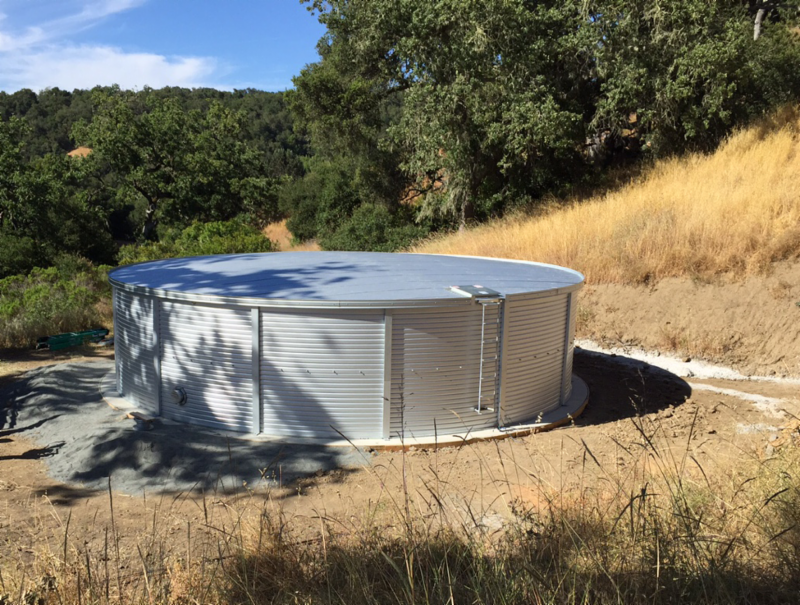 Domestic & Fire Supresion Water Tank Project in Bonny Doon ﻿Calif. (Middle 2 Pictures) XLE 23 29,023gal. Rainwater Colection Project in Los Gatos Calif.
(Bottom 3 Pictures) Bioretentin Cell in Fremont Calif. to catch and filter ground water from Aprox. 10,000 sq. ft. of parking area collectng and filtering well over 54,000gal. of water each year. solution to protect the property from the impending California wildfires during ongoing drought and water scarcity.